Gaye Fifer has been an active contra dancer for the past 30+ years, first in St. Louis, MO, then living in Charlottesville, VA, now retired in Pittsburgh. She was an organizer for her local dances in Charlottesville, serving on the board and co-chairing their fall festival committee numerous times. 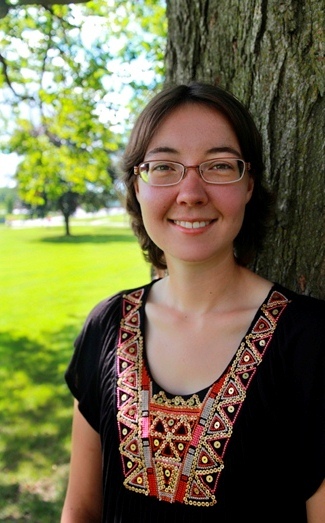 She is involved with both the contra and English dance communities in Pittsburgh. In addition, Gaye has been calling both locally and around the country at contra weekends. She is known for her energy, enthusiasm and sense of fun. Gaye's other dance passion is American folk waltz. When not dancing/waltzing/calling, you can find Gaye volunteering in a public school, singing in a women's choir and working to change the world. Sarah VanNorstrand has been calling, organizing and teaching contra, square, and family/community dances for twelve years. She has a clear and engaging teaching style and a great repertoire of dances to share. Instantly hooked from her first contra dance as a teen, Sarah’s love of dance and her joy in sharing it with all who will is evident and infectious. She enjoys working with everyone from first-time dancers to decades-long contra veterans. She loves dancing, community, and music and always tries to communicate that enthusiasm in her calling. Above all, her goal as a caller is to make sure the dancers are having as much fun as she is! 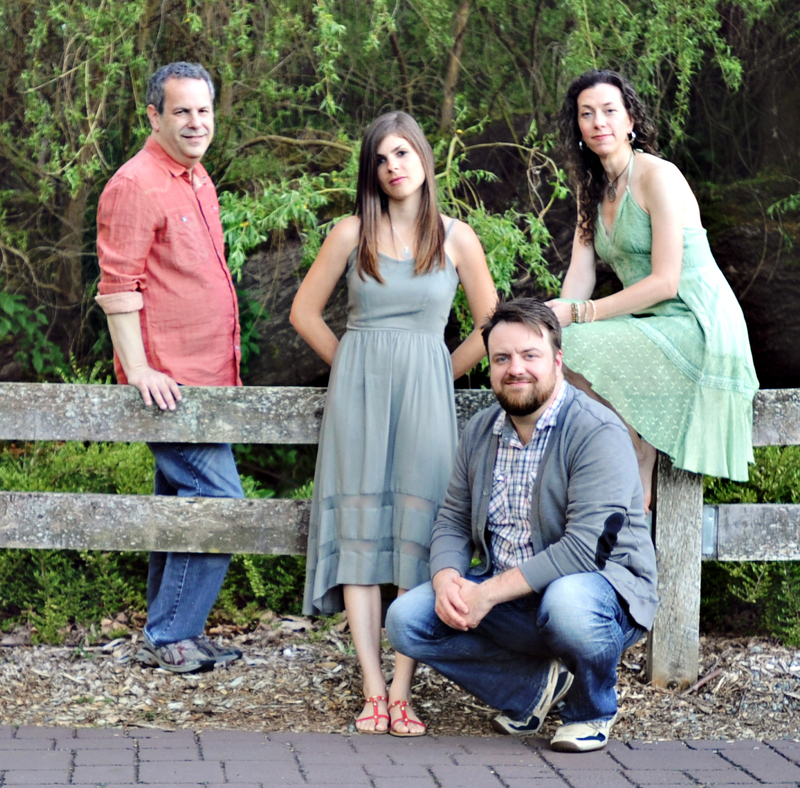 From dance floors to concert halls, The Syncopaths bring a fresh, contemporary spin to music and songs rooted in the Scottish, Irish, and American folk traditions. 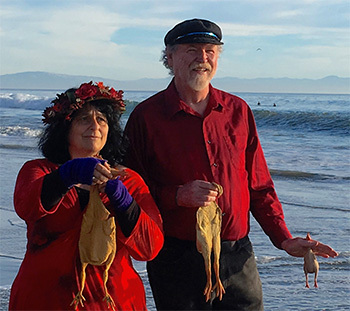 Evolving beyond their contra dance origins, they are creating a “chamber folk” sound characterized by the compelling, rhythmic interplay of fiddle and mandolin, rich vocals, and unexpected colors and rhythms from the piano and bodhrán. The exuberant joy they derive from the music and each other is palpable and contagious. Ryan McKasson - fiddle and viola; Jeffrey Spero - piano and keyboards; Ashley Broder - mandolin and fiddle; and Christa Burch - vocals and bodhrán. Uncle Farmer is Ben Schreiber on fiddle and Michael Sokolovsky on guitar and foot percussion. With an Irish and New England sound at its core, the duo is known for its original dance tunes, modern twists on old favorites, and sets mixed with pop rhythms and improvisational flair. Their performances range from sweet and nostalgic to gritty and energetic, and their sound truly fills both the room and the hearts of dancers. Ben moved to the San Francisco Bay Area in 2011 and is originally from St Louis, MO. Ben began playing the violin at the age of three and was classically trained. Around the age of twelve, he shifted his focus to folk music. After a brief foray into the world of competitive bluegrass, Ben became drawn towards the contra dance community, and eventually formed several local Midwest bands. In addition to contra dance music, he also plays for English Country Dancing, and was a member of the klezmer band, Yidn. Michael Sokolovsky was born in Russia and grew up in central Massachussetts. While going to college in Providence, RI, Michael took up the guitar and also attended his first contra dance. 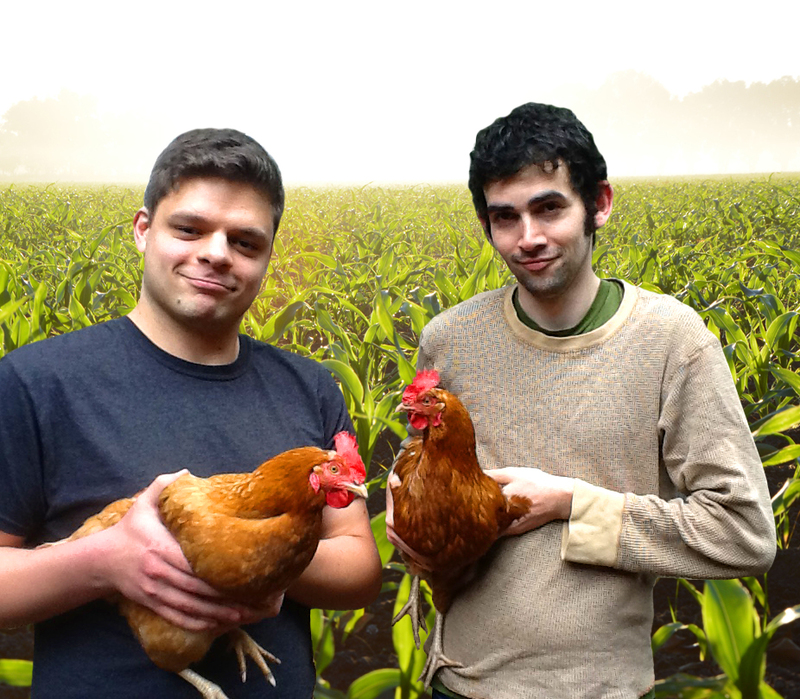 In 2011, Michael moved to California, met Ben, and Uncle Farmer was born. “WHOOT WHOOT!! !” is the sound dancers make when things really get cookin’; musicians live for that. The Whoots play a blend of Irish, Scottish, French Canadian and Old Time music, ContraFusion, a fusion of traditional contra dance and techno contra dance — traditional music mixed with pop, swing, techno beats and lighting effects. Multi-instrumentalist Shira Kammen has spent well over half her life exploring early and other intriguing styles of music. A member for many years of countless early music ensembles, she also is the founder of Class V Music, a group dedicated to providing music on river rafting trips. Shira performs now with several groups, among them English Country/Contra dance bands including Roguery and The Whoots, and collaborates with performers such as storyteller/harpist Patrick Ball, poets Jane Hirshfield and Kay Ryan, clown Jeff Raz, and in many theatrical and dance productions, including the California Revels and the Oregon, California and San Francisco Shakespeare Festivals. The strangest place Shira has played is in the elephant pit of the Jerusalem Zoo. Jim Oakden went to college on a music scholarship, but ended up in grad school as a marine biologist. However, he continued to avidly pursue music, first via Early Music, and then as a dance musician. He continues to perform with many bands in a host of genres on an absurd array of instruments. He is very dedicated to passing on his knowledge at symposia, workshops, and dance and music camps from the East Coast (Pinewoods, etc) to Fairbanks, Alaska, to Santiago de Compostela, Spain—and many places in between. He runs community bands, camp bands, does individual and small group instruction, and has been an instructor at Lark Camp for many years. He appears on 20 or so CDs. Plus, he loves to dance, in many different styles. Jean Gibson-Gorrindo is a West Coast dancer and caller who has also been teaching Pilates for fifteen years. Jean founded the Five Seasons Pilates studio in Los Osos, CA. 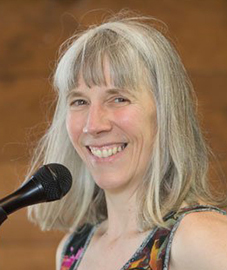 She retired after nearly three decades in the health and fitness industry, and now encourages health and fitness as a contra dance caller and choregrapher! Marty Brenneis has been around theatre, film and dance since before he could walk. Along the way he has gained skills in many of the entertainment crafts. When he started contra dancing he realized that the sound quality was very important to the overall pleasure of the dance. The philosophy he applies to the sound is simple, “I gotta dance to it.” He has been a constant fixture of American week since 1999.